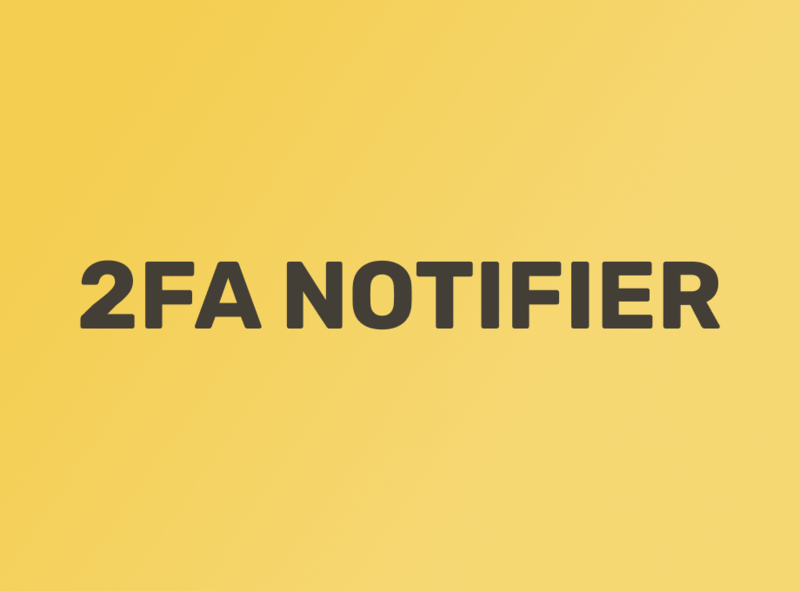 A few months ago, Ray and I started working together on an open source browser extension called 2FA Notifier that notifies you know anytime you visit a website that supports 2FA and provides information to help you enable 2FA on your account. I recently wrote about the extension and the problem it solves in an article that was published on the Okta Developer Blog titled How to Get More Internet Users to Enable 2FA on Their Accounts. I am reproducing my article here so that I can introduce All Things Auth readers to the 2FA Notifier extension, which I will continue to write about in future articles. Check out the article and share 2FA Notifier with your friends and family, especially those who are less technical. It was specifically built to help them keep their online accounts safer! Any and all feedback on 2FA Notifier is hugely appreciated. If you are reading this article on the Okta Developer blog, chances are high that you are already quite familiar with two-factor authentication (2FA) and how it helps keep hackers out of user accounts even if they’re using compromised passwords. You probably already have 2FA enabled on all of your online accounts. Sadly, you are in the significant minority. Duo Security conducted a survey to research perceptions and adoption rates of 2FA among average internet users. The results, published in the State of the Auth, were sobering. They found that only ~28% of people in the US currently use 2FA. That means the other ~72% of average internet users are only securing their accounts with a password. That is frightening, especially considering that the majority of passwords are complete garbage because people are downright awful at creating good passwords. That 28% figure also generally aligns with the low 2FA adoption rates reported by some major service providers. In January 2018, Google stated that less than 10% of active Google accounts have enabled 2FA. Though a bit dated and hopefully improved in recent years, Dropbox said that their 2FA adoption rate was less than 1% as of June 2016. Even more concerning, the same report found that only ~56% of people even knew what 2FA was before they took the survey. Let that sink in a moment. While you and I likely have 2FA enabled on all of our accounts right now, the majority of average internet users do not even know what 2FA even is! Certainly, they won’t go about enabling it on their accounts if they don’t know that it exists. For those who do know that 2FA exists, many still can’t identify it when they see it. Pew Research Center conducted a cybersecurity quiz in which only 10% of users could correctly identify two-step authentication when presented with a set of options including a code sent to an email account, a reCaptcha, some knowledge-based security questions, and one of those ridiculous “security image” prompts. There is a fundamental education gap between the majority of internet users and the tech literate when it comes to 2FA. I see two parallel approaches to address the education gap. First, we need to build better authentication solutions. Users should be leveraging strong authentication on all of their accounts without even realizing it. Milestones like the major browsers announcing support for the WebAuthN API are an exciting step in that direction. However, it’s still early days, and WebAuthN likely won’t become ubiquitous for the average internet user anytime soon. In the meantime, the second approach is to continue educating users about existing 2FA solutions that they can use to protect their accounts today. There are some great resources aimed at helping users do just that. The site twofactorauth.org maintains a searchable list of websites and whether or not they support 2FA. Websites that do support 2FA also have a link to their support documentation explaining how to enable 2FA on your account. Another helpful resource is turnon2FA.com, which provides step-by-step tutorials to enable 2FA on hundreds of different sites. As useful as these resources are, the main drawback of both is that users need to go out of their way to proactively use them. The old saying “out of sight, out of mind” seems fitting here. I focus on 2FA professionally, and even I often forget to check those resources regularly to see if a new service I am signing up for supports 2FA. I think the average internet user is likely to forget too. Wouldn’t it be awesome if we could educate users about which sites they visit support 2FA without them having to do anything? That is what 2FA Notifier makes possible. 2FA Notifier is an open source web extension for Chrome and Firefox built by yours truly and my partner in crime, Ray Gonzales, that notifies users anytime they visit a site that supports 2FA. The extension leverages data from twofactorauth.org and other sources to determine whether the site in the current browser tab supports 2FA. If it does, then the user gets a notification directly in their browser window letting them know! Better yet, users can click the notification to go directly to the site’s support documentation telling them how to actually enable 2FA on their account. Even if the user misses the notification, the extension icon also updates to indicate whether the current site supports 2FA or not. Clicking on the icon opens a menu that clearly explains whether 2FA is supported and also provides a link to the setup documentation. 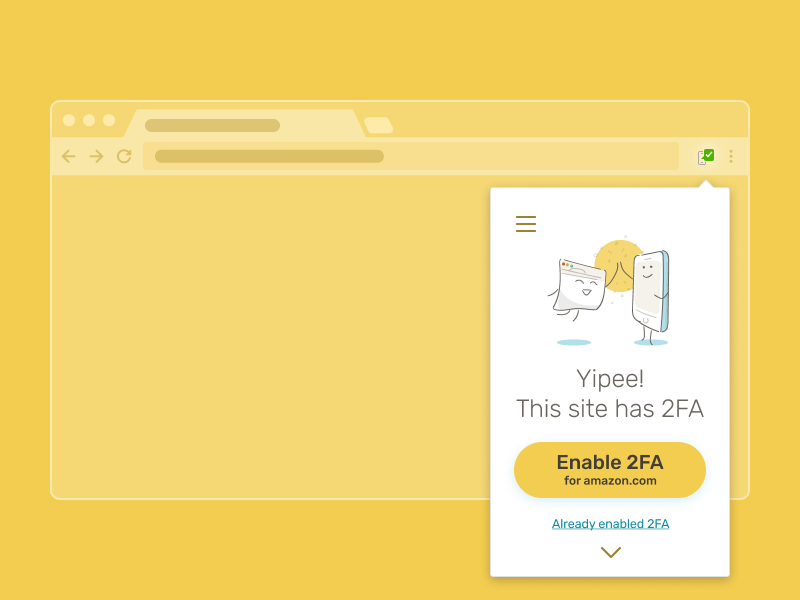 Users can also easily tell 2FA Notifier that they have already enabled 2FA for the current site, which prevents it from throwing notifications in their face every time they visit that site. The goal is to provide users with the information they need to take action and then get out of the way. Install 2FA Notifier and take it for a spin. See which sites you visit support 2FA and make sure to enable it if you haven’t already. 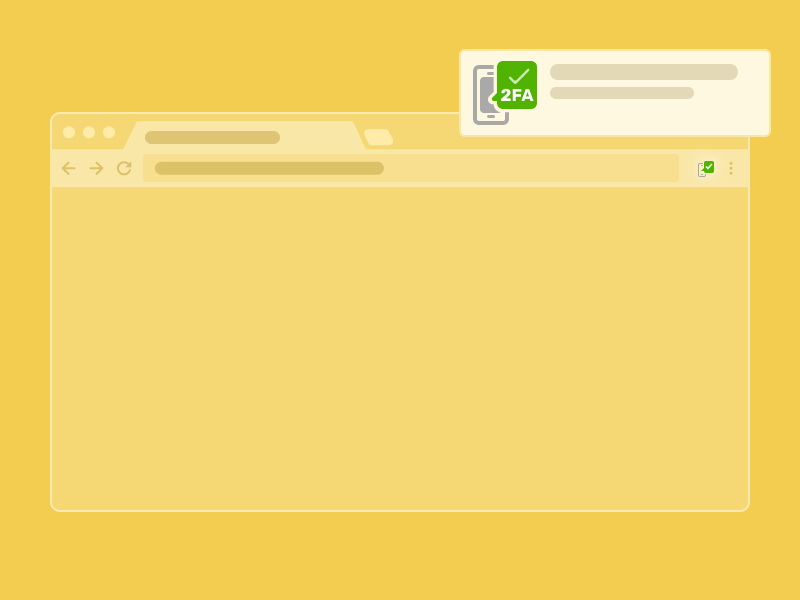 Most importantly of all, share 2FA Notifier with your friends, family, and coworkers who would benefit the most from a friendly reminder to enable 2FA on all of their accounts! PS: You can follow me on Twitter (@conorgil) to hear about 2FA Notifier feature improvements and read my articles on 2FA and related topics at AllThingsAuth.com. Thanks to Jordan Fischer, Ray Gonzales, Randall Degges, and Lindsay Brunner for reading drafts of this.